On the Road Again…. – What's for Dinner Moms? As we get ready to close out the month my daughter and I are on the road again. She will participate in a Feis (Irish dance competition) today. 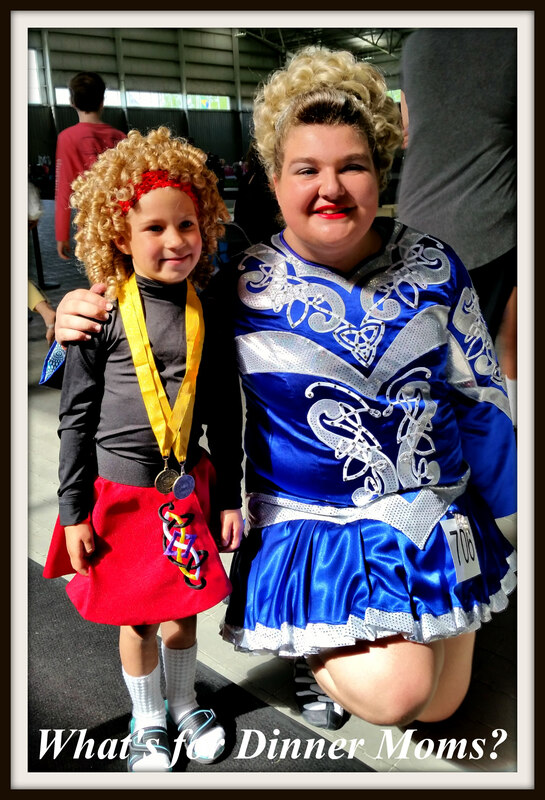 Above is my daughter and one of her beginner Irish dance students. She loves teaching them and working with them. I hope she does well today. It is her first competition in four months after having some injuries. Then tomorrow we will head back to our old hometown so that I can work for a week. I work for a Certified Public Accountant and have for the past 25 years. It has been nice because as he had work he would ask if I wanted it or if I was too busy. If I turned the work down I didn’t get put to the bottom of the list or anything it was just given to someone else. But, on the other hand he knows he can call me or text me at the last second and ask me to go fix or do something and I will make every effort to help him out. So, it has worked out perfectly. But, as time has gone on he is getting near retirement and having some health concerns. I want to go back to help him out and give him a little sense of peace of mind during this time. So, this is a time of transition for me. I can see the writing on the wall not only with my daughter going to college but work too. I am still working on what I want to be when I grow up and wonder where the next chapter of life is taking me. I would so rather eat meat and potatoes than candy any day! Thanks, Pat! Things do happen at the right time, somehow. What you write is so true! It is interesting how what we did or learned once becomes again more meaning or room later again. I noticed that so many times in my life. A proof that nothing we ever do is in vain! Good luck for your daughter! You are right. Things will happen as they happen. What a nice career! Such a cute photo! Awesome, thats beautiful that she teaches the younger ones what a gift.